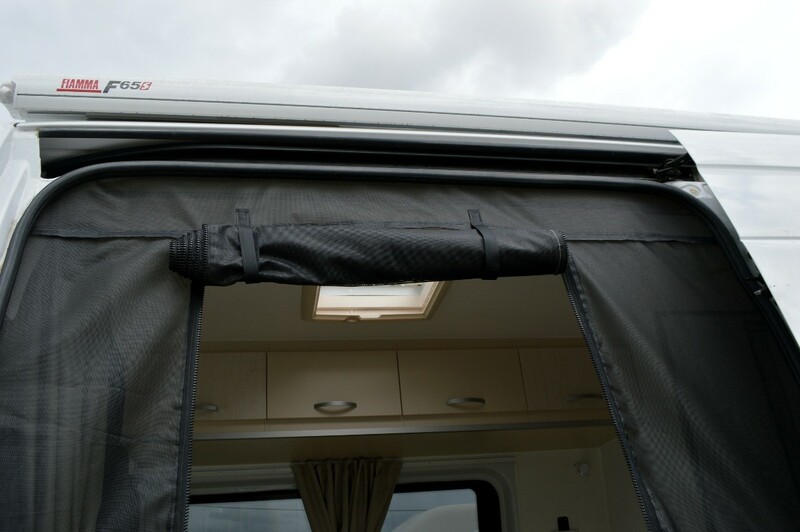 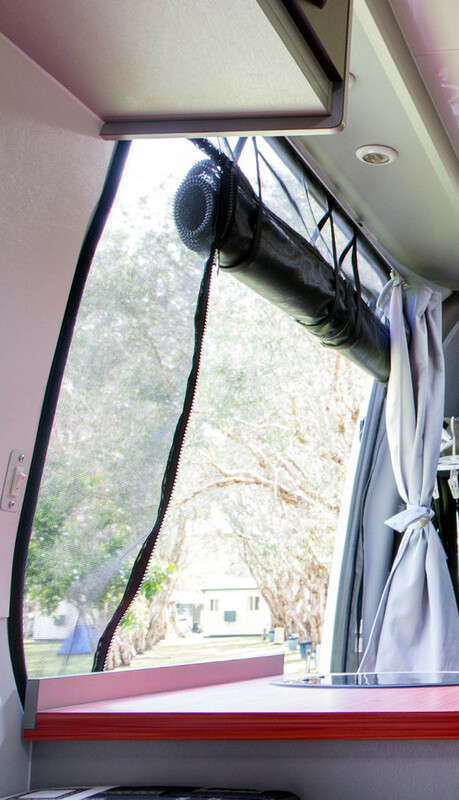 To keep all the bugs, mossies, midge and creppy crawlers outside-no campervan should lack this feature. 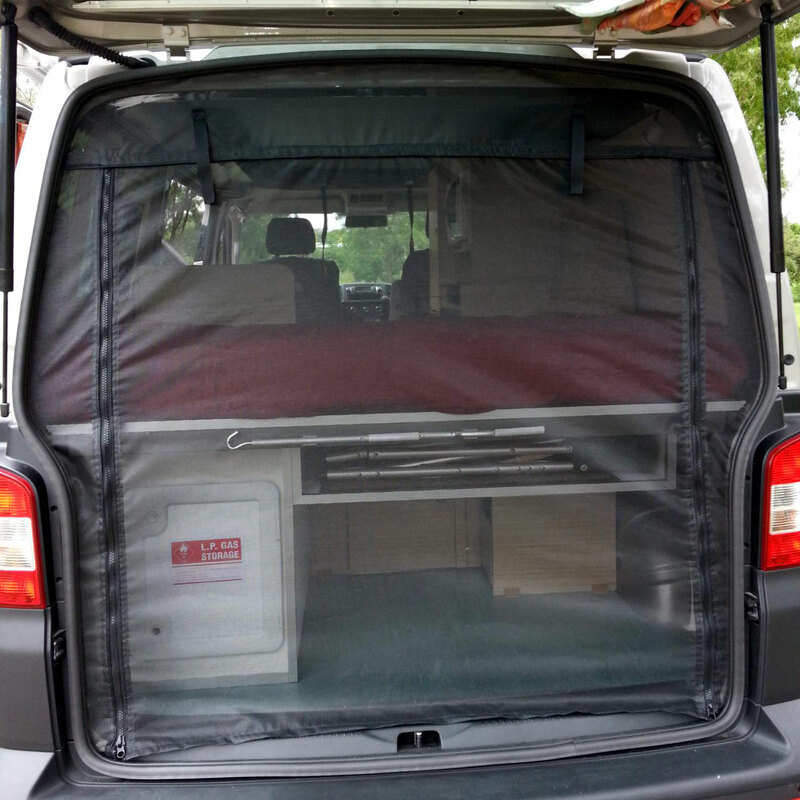 The screens are practical, saving on insect repellent and a durable solution for a better travelling experience. 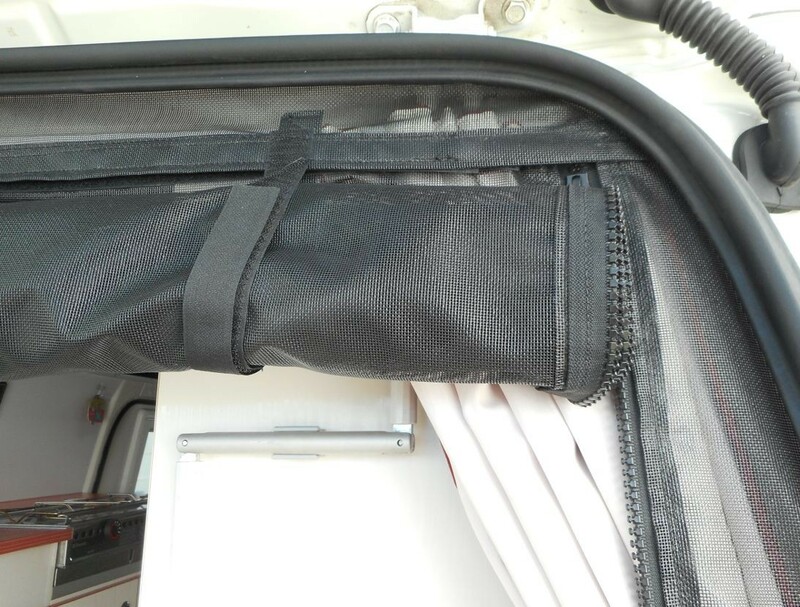 Our best seller are available for sliding doors and rear barn doors, coming as 2 or 3 zipper versions. 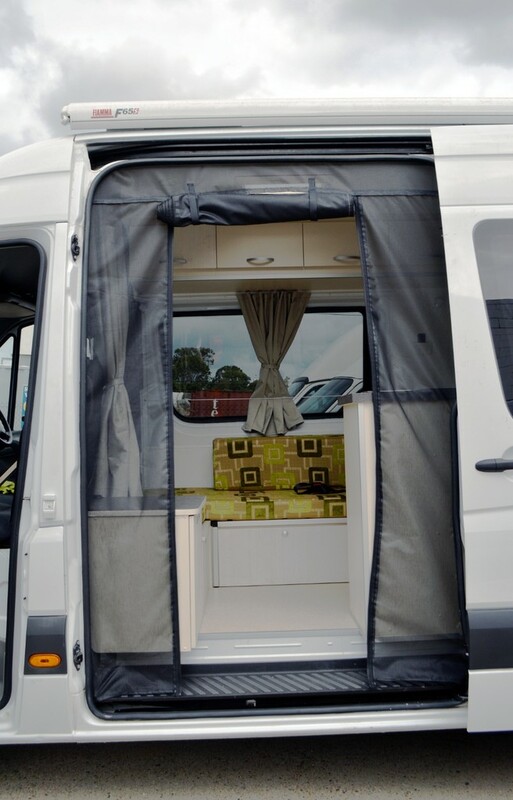 The installed screens have a permanent installed part on each side and the top, while the screens self can be either rolled up OR taken out and being stored away in off season. 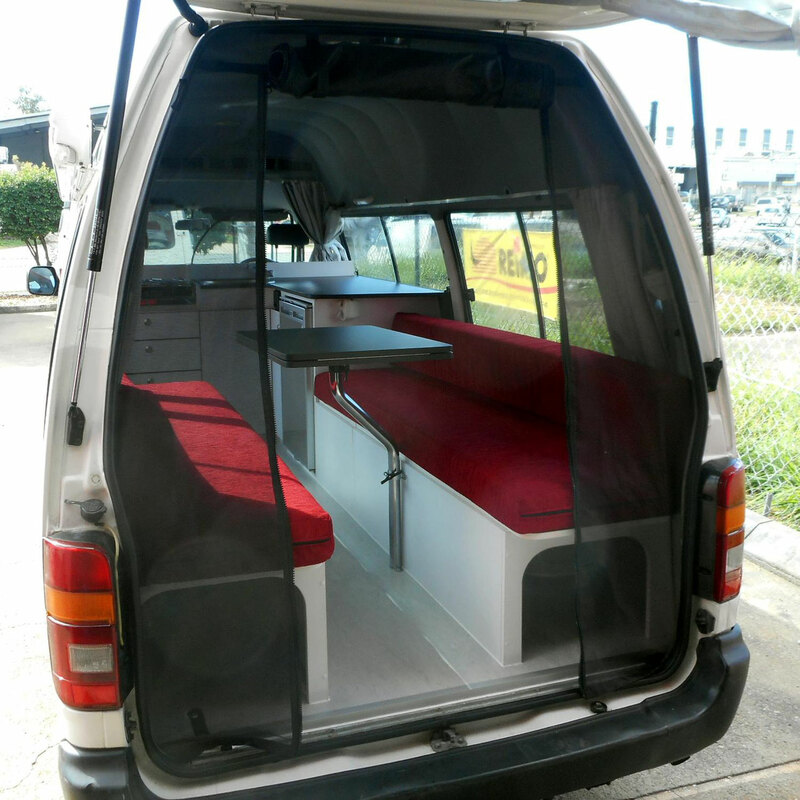 Please use the drop down menue to see if your vehicle is listed, we have screens for VW Transporter, Toyota Hiace, Renault Trafic, Ford Transit, Mercedes Sprinter and more coming in various designs. 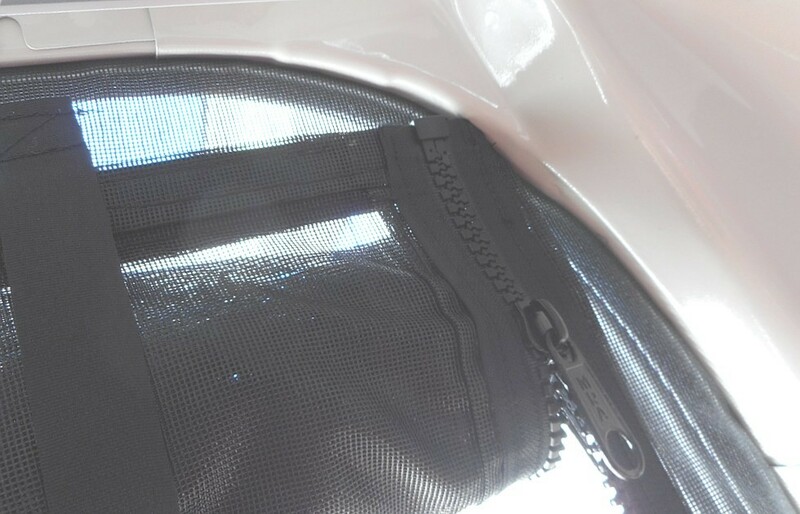 We ship the screens with a installation manual and the only tools you need for installation are a hammer, Stanley cutting knife and some masking tape. 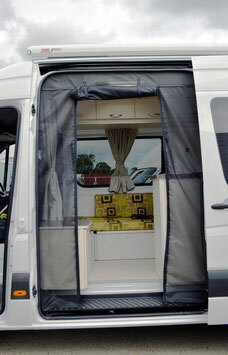 We have also a simple solutions with screens which can be attached with a frame from the outside in our work shop. 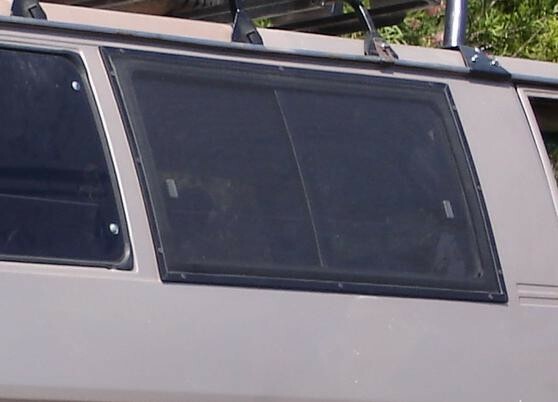 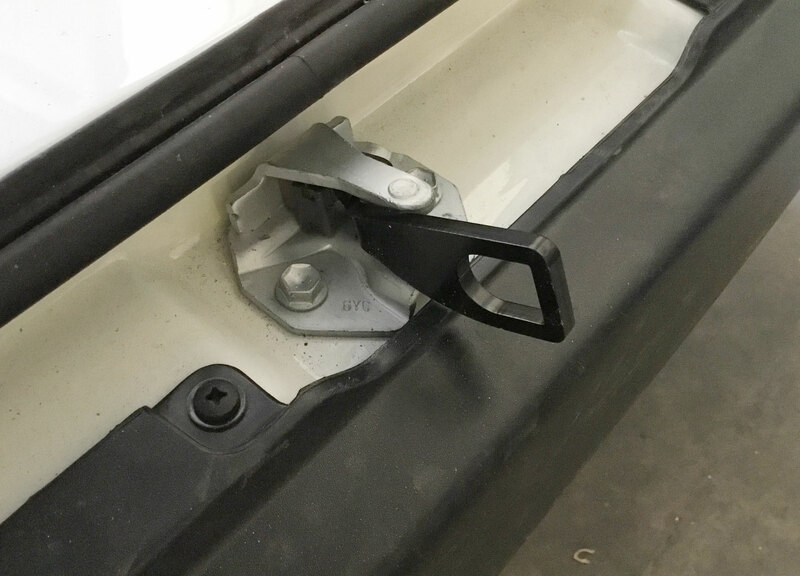 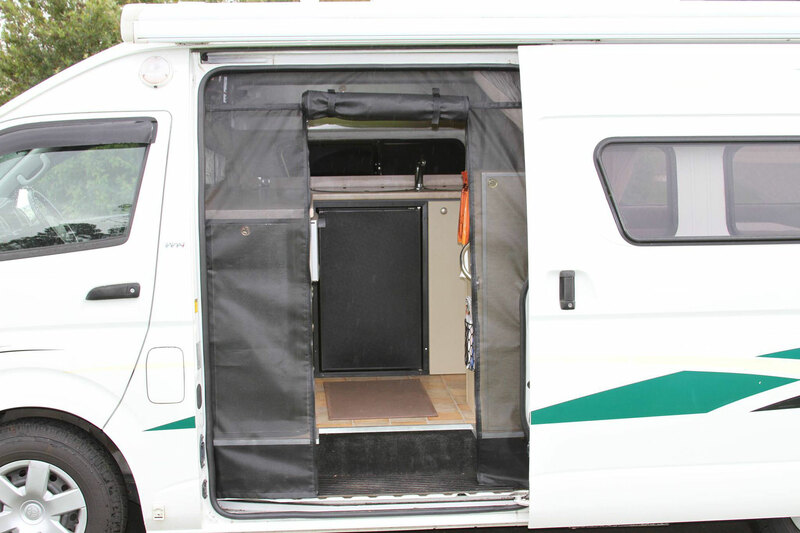 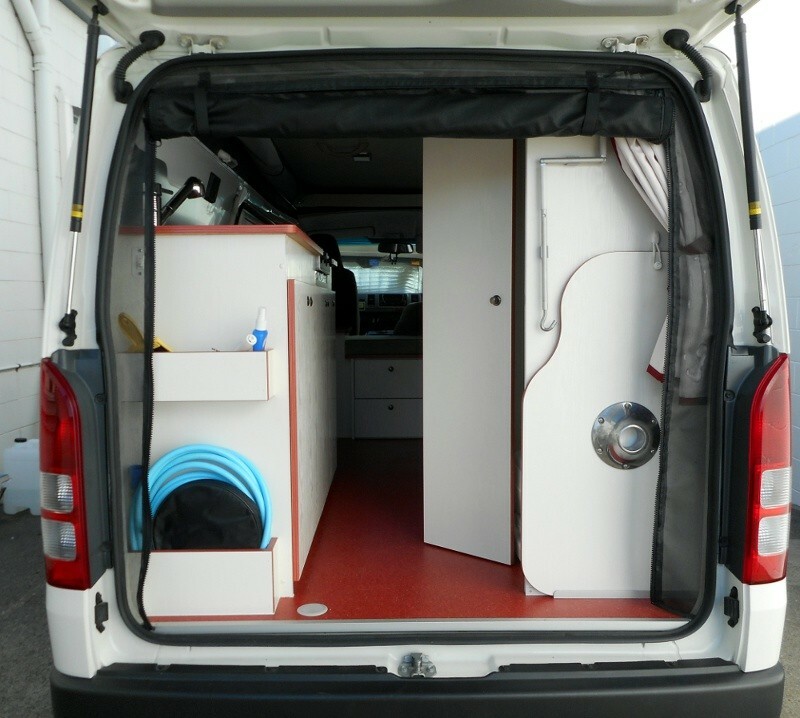 Suitable for example to use on 4x4 vehicles or other small vans with sliding windows. 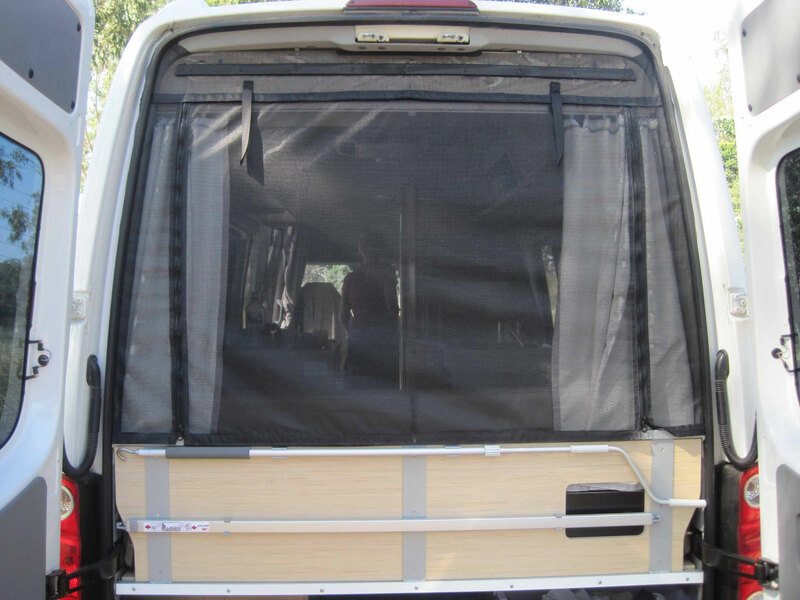 A great addition to your tailgate flyscreen for your Toyota Hiace, Volkswagen T5 / T6 and other vans. 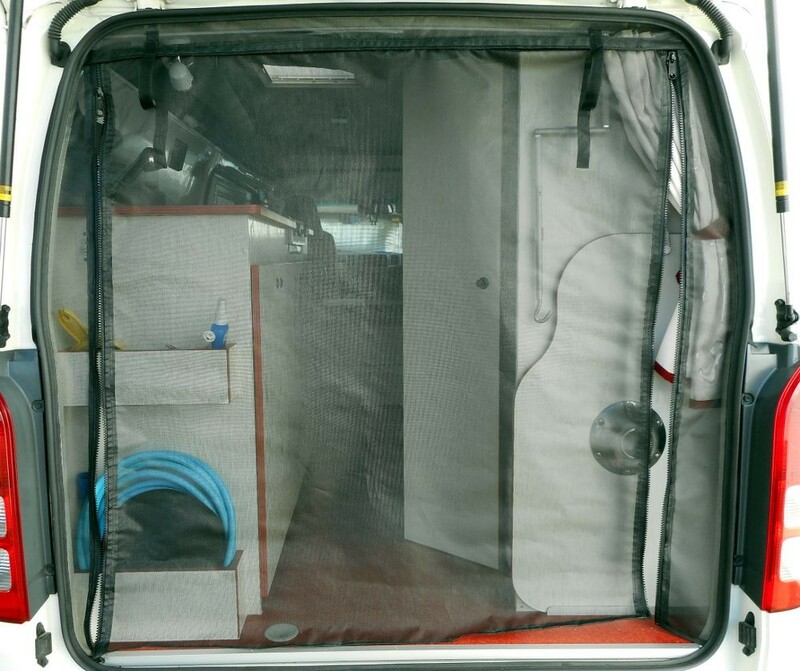 Lets get airflow in and keep strangers out. 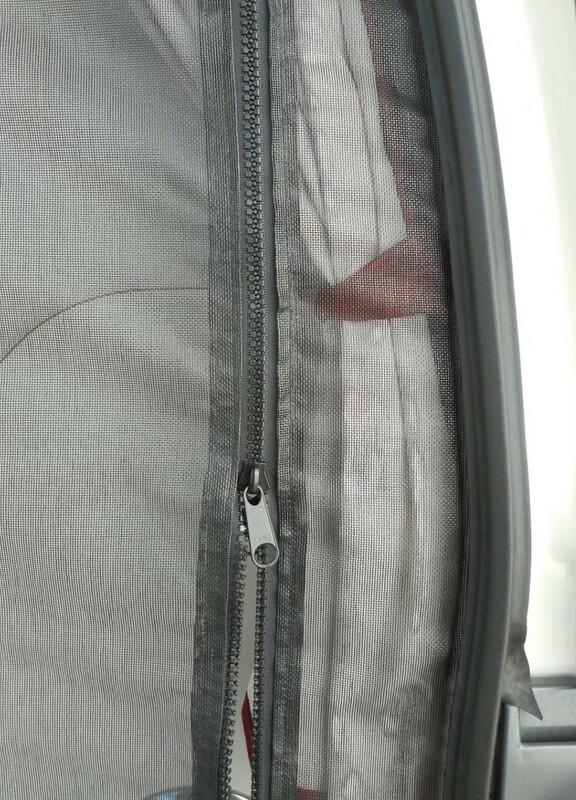 Watch below video!